It’s been a busy month having visited New Zealand, raced at Sydney Motorsport Park, preparing for Sandown, as well as working. During my recent trip home, I took the opportunity to catch up with family and friends. Getting out on the quad bike riding through the hills of my cousin’s farm quickly reminded me how amazing the New Zealand countryside is. We moved cattle and sheep and I thought I was being helpful but really the dogs had it covered. After a quick trip to the farm I headed back to my hometown of Palmerston North. I went back in time and visited my High School. It was great to catch up with some of my teachers and see the changes around the school. I celebrated my friends 80’s themed 30th birthday. 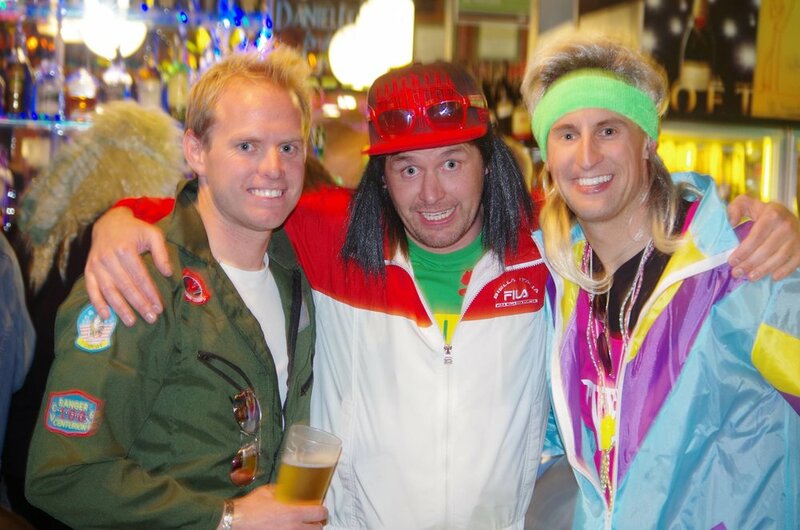 It was cool to catch up with lots of old friends and the 80’s costumes were awesome - including my mullet! 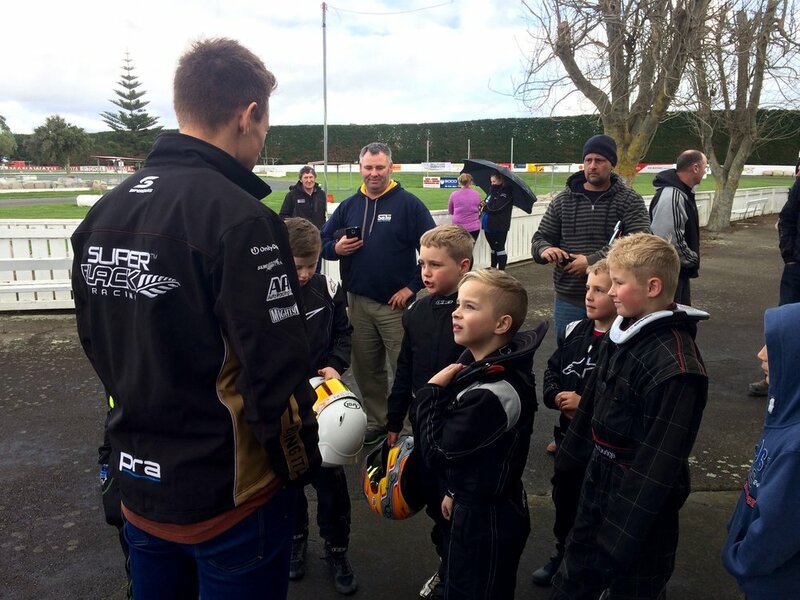 I visited the Manawatu Kart Club where my passion for racing started. I really enjoyed chatting with all the young kids which brought back lots of great memories. Once on the ground in Melbourne I headed straight to Phillip Island for a week working with the Audi Drive Experience team. I work with a great crew of guys and I’m fortunate to be able to manage this work around the racing calendar to generate an income, as I’m not a paid Supercar driver. Next stop was Sydney for the Red Rooster Sydney SuperSprint. 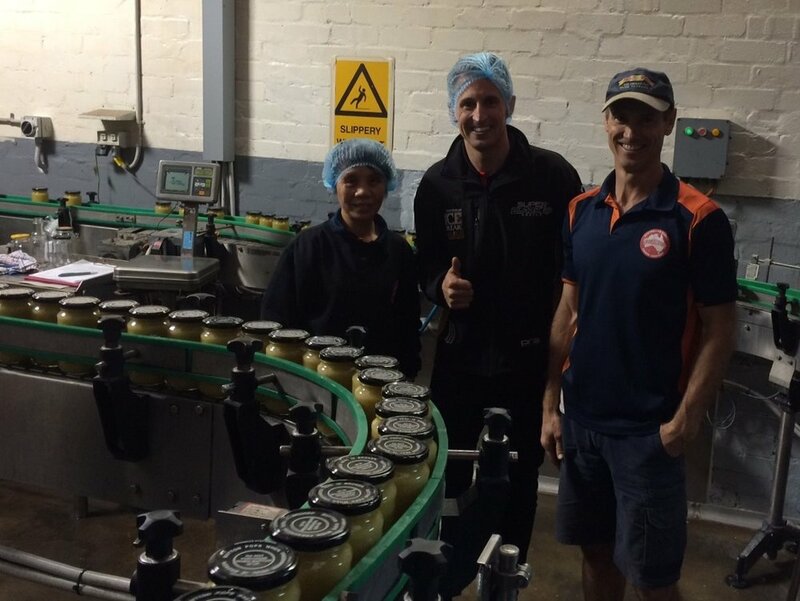 I visited our partners XForce Performance Exhaust Systems and Three Three’s Condiments to check out the Mighty Mite factory. It was an interesting experience looking around both factories to see and learn about how their products come to life as well as meeting people on floor. On Thursday we walked the circuit to inspect the quality of the track surface. Going into practice we had the aim to find a balance that would look after the tyres over longer runs because of the poor surface. We were happy with the car balance in race trim, but couldn’t find a balance comfortable for me to attack and make the most of the new tyre grip. This resulted in a 17th qualifying position. We went into the race with confidence that we would have good tyre life and speed over a race stint. I had a lot of fun attacking, planning and executing passes. We moved forward and finished a solid 14th. Sunday was a similar story. Although it was only one position, we did improve by qualifying 16th. After a confusing start ultimately being aborted, we got into a groove and went long to maximise our strength of good tyre life. We raced forward to finish behind a road block of Nissan's in a pleasing 13th place, knocking on the door of a top ten. Overall, it was great to have strong race pace and consistency especially heading into the enduro rounds. I had a lot of fun throughout the two races making lots of passes. Now we need to learn how to combine our qualifying car from QLD Raceway and our race car from SMSP and we will be in good shape. Back on track Monday to welcome our guests for our ride and driver experience. I always enjoy taking guests in the Supercar to give them an adrenalin thrill and I love seeing their smiles. 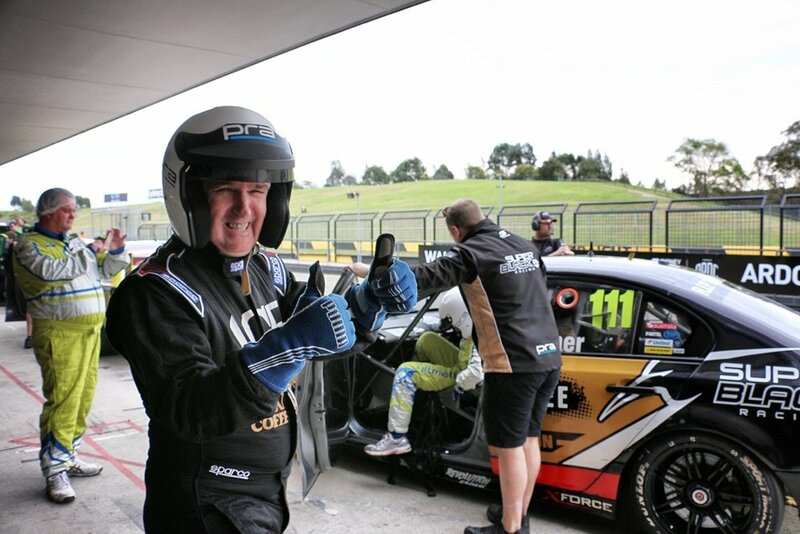 It was a great day and, as well as the hotlap, our guests participated in a team building exercise including a timed Motokahna on the skid pan in our V8 Utes. I’m looking forward to the Sandown 500. I feel preparations have gone well with my co-driver Richie Stanaway and we are in good shape, so we will be aiming high. I am reflecting after what has been a roller coaster of emotions. 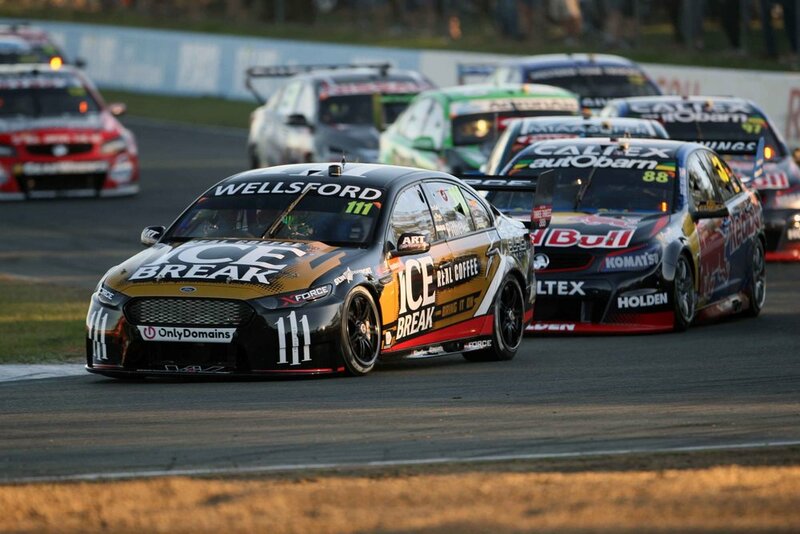 Super Black Racing - Powered by Ice Break, headed to the Coates Hire Ipswich SuperSprint with a new approach after a tough round at the Castrol Townsville 400. We simplified our plan and focused on the fundamentals. After setting the 8th & 5th fastest lap times in practices 1 & 2 we left the track encouraged by our progress. Practice 3 was strong, we continued to tune the car and my driving technique going into qualifying. We rolled out using our warm up set of tyres to do a lap and get brake temperature. We scheduled 3 runs with two sets of new Dunlop Soft tyres. The car felt a bit loose but history shows the qualifying times at QLD Raceway are always extremely close so I had to hang it out and get the most out of it. With each run we found time and my final lap felt good. After my final hot lap I rolled off the throttle and my engineer Dilan said over the radio "good job mate, that's currently P1". I was a bit excited but knew there would still be plenty of guys to complete their hot laps. The session was over and we were at the top of the time sheet, we had done it! I had to pinch myself driving down pit lane when I saw the Armor All pole position banner waiting at our pit bay. It was such an amazing feeling to have a Pole Position for our team in my rookie season. I was lost for words when I got out of the car and couldn't thank my team enough for their hard work and dedication. The long hours and attention to detail they put in between events, at the workshop and over the race weekends is massive. Lining up on Pole position for race 16 of the championship was an unfamiliar but nice feeling with a clear view to turn one. The butterflies were having a field day so I was keen to get in the zone and get underway. After completing the warm up lap I was set before the 'Start Delayed' board was displayed, just to give those nerves a bit more time to build. We finally got the green light and I executed one of my best starts of this season. I got the lead from the start but the first few laps were intense. I got bumped off line and lost momentum along the next straight dropping a few positions. Taking the chequered flag in 11th position wasn't where I had hoped to be, but the experience I gained running at the front for a couple of laps was massive and I'll be much better for it next time. We carried momentum into Sunday qualifying 9th, making it another top ten. Our race pace was much better. Although we didn't have pit boom priority, as myteam mate Chaz was ahead, our pace in the middle stint was strong and put us in good shape. Our final stint of 32 laps was long and the tyres dropped away with 10 laps to go, but the strategy worked well giving me clear track. I managed the tyres to the end and picked our second top ten result of the season in 8th place. Hearing the news on Monday morning that our Super Black Racing team owner, Tony Lentino, had lost his 15 month battle with cancer was deeply saddening. 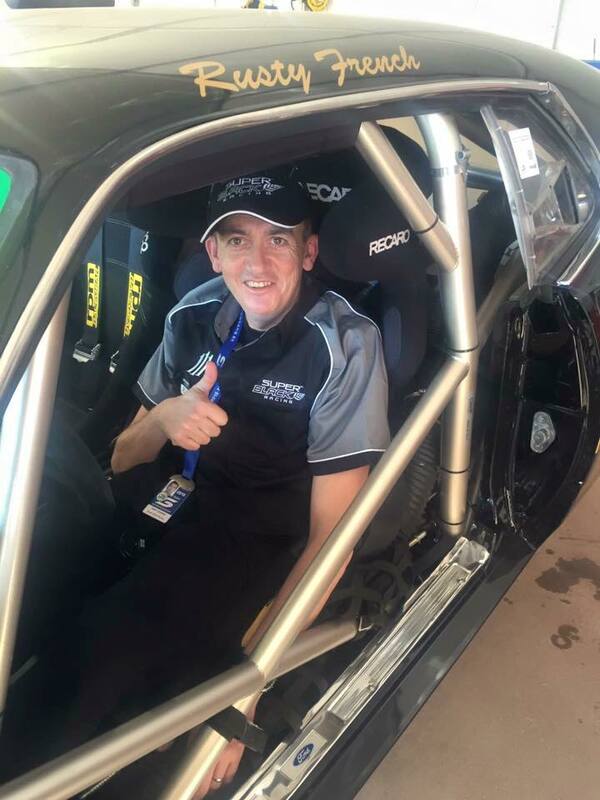 Tony gave me the opportunity this year to fulfill my childhood dream of racing in the Supercars Championship Series, I cannot thank him enough for that. To have gained pole position on Saturday was amazing for our team. 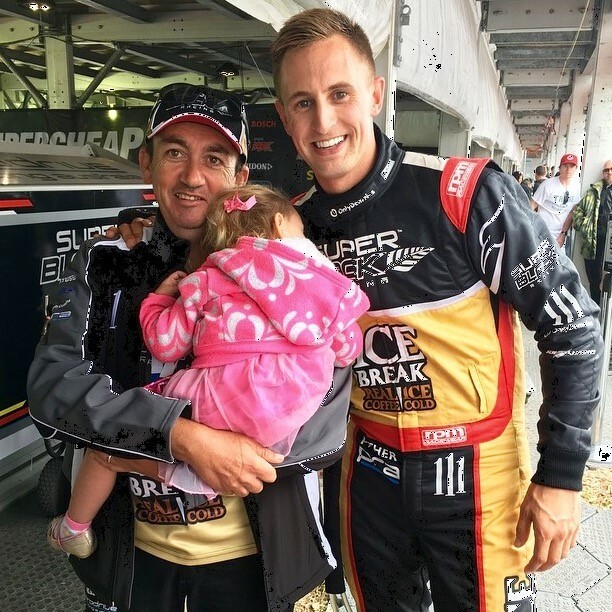 Tony was extremely passionate about New Zealand and Super Black Racing. Knowing that Tony was able to enjoy that moment for our teams first pole as well as our top ten finish, makes it extremely special. I'm so happy we achieved that for him. We will keep pushing for Tony and look forward to doing him proud. I sincerely thank everybody that has supported me through my journey and made this milestone possible.